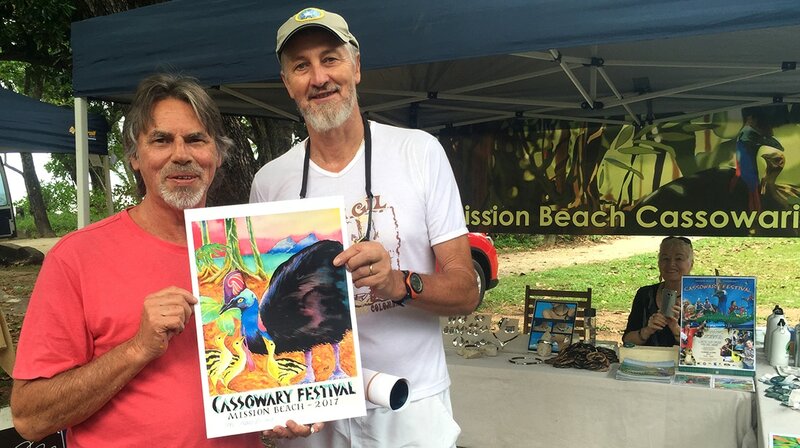 Trevor Proud with Mission Beach Tourism Chairman Thomas Bauer (photo left) at the Rotary Mission Beach village markets holding one of the water colour paintings he designed exclusively for the Mission Beach Community Cassowary Festival. As part of the festivities Trevor will be entertaining visitors by creating a large painting during the festival to be sold at a silent auction on the day. 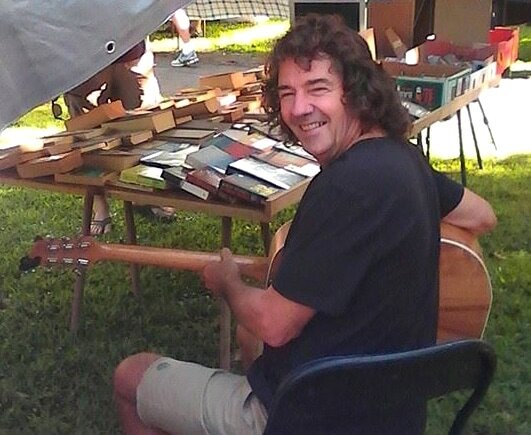 Multi talented Trevor will also be joining local Gidgee Guitar maker John Brown (right) on the stage for some special acoustic music. That's not all! You can take home a special souvenir of the day as Trevor will be available to do your portrait to include a cassowary. Limited edition signed prints are available at the Mission Beach Visitor Centre or at the festival on June 4th. Only 25 of these spectacular signed prints are available so don't be disappointed, order yours now to collect locally on 4068 7099 or buy online here. See the full program for the Cassowary Festival weekend here.